At MRelay, Oluwaseyi will speak in the Transformation leg, from 5pm to 7.30pm, while Paul will join the Utopia team from 8pm to 10.30pm. Then, on 1 February, please join us for a special MTalks event, New British Inventors, moderated by RMIT Design Hub curator Fleur Watson. Oluwaseyi and Paul will draw on their practices in a broad-ranging discussion about risk-taking and collaboration. How can we develop new ways of design thinking and making? 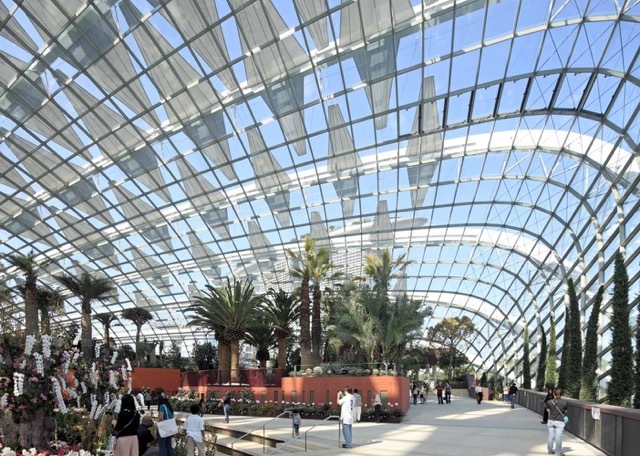 Gardens by the Bay, Singapore by Atelier Ten. As design consultants and building service engineers, Atelier Ten have worked on large-scale sustainable projects both in Australia (such as the original environmental concepts for Federation Square) and overseas (including Singapore’s 101-hectare Gardens by the Bay), while Paul himself has been recognised by the US Green Building Council for his leadership in environmental design. 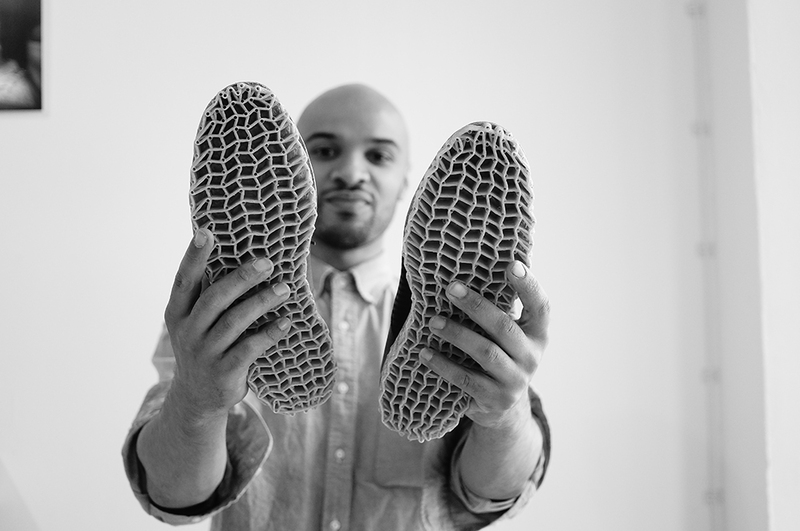 A Royal College of Art (RCA) graduate, Oluwaseyi has famously developed the 3D Weaver—a loom specially designed for weaving in three dimensions. From its Honeycomb and ZigZag weaves to the compressible 0~90 pattern, the machine has potential applications in industries spanning medicine, aerospace, architecture and even sportswear. There’s no need to book for either MRelay on 30 January or the MTalks event on 1 February. Just head to MPavilion and pull up a seat. We hope to see you here! Main photo: Oluwaseyi Sosanya. Photo by Guillaume Couche.